It’s Black Friday. I am not shopping. I don’t like shopping on a good day so Black Friday seems like Hell to me. Instead, I am spending time with family and starting to look ahead to Christmas. Each year, I think about quilting some things as decoration and last year, I actually got an advent calendar made for my daughter, but usually things end up in my UFO pile. 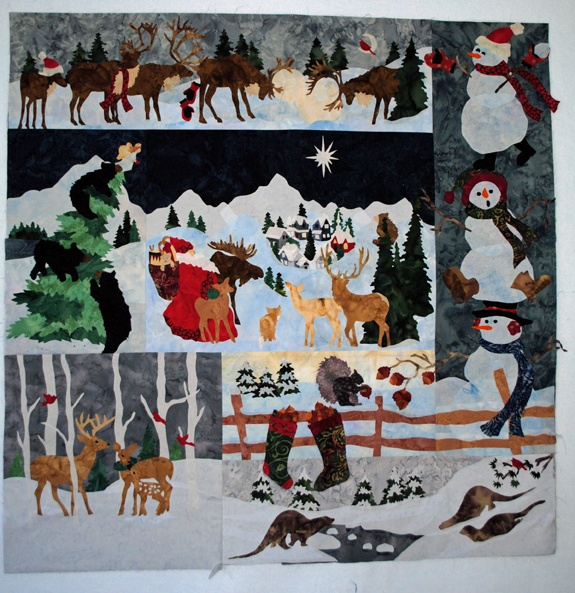 That’s still true this year, but I have now finally finished the top (without the borders) for a McKenna Ryan Christmas quilt that I have been working on for, oh, like 10 years. Maybe it will be quilted and hanging for Christmas 2017!